On 16 October 2008, Emirates Airlines, moved all operations at Dubai International Airport to Terminal 3. Terminal 3 is over 1,500,000 m2 (370 acres) in size, the single largest terminal building in the world, and is dedicated exclusively to Emirates Airlines. 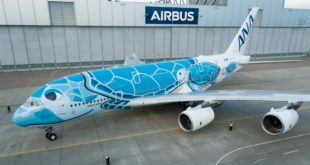 The move demonstrated the meteoric rise of the airline since its inception on May 25, 1985 with just two leased Airbus A300 and one Boeing 737-300 aircraft, to the titan of the airline industry, it has become today. Emirates has recorded a profit every year, except in it’s second, and growth has never fallen below 20% a year. In its first 11 years, it doubled in size every 3.5 years, and has every four years since. The Emirates Group announced a net profits of Dhs5 billion (US$1.37 billion) for the financial year ended 31 March 2008, a 62% increase over the previous year. Business lore has it, that Emirates airline’s turnover is almost 20 per cent of Dubai’s GDP. Credit to Emirates’ business model, which has led to their phenomenal success. Despite being considered one of the best providers of services, Emirates practices a lean workforce policy, and simple organisational structure, which is comparable to low-cost carriers, instead of the complex and bloated workforces at most legacy and full service airlines. Like it’s super-profitable, high service level, compatriot, Singapore Airlines, Emirates operates an “all wide body” fleet, which results in lower costs, while allowing Emirates to earn additional revenue utilising cargo capacity. The low overheads, coupled with a no income tax regime at Dubai, gives it operating costs that is the envy of the airline world. Industry analysts believe that Emirates has a cash cost per seat basis second only to Ryanair. The Dubai airport is another ace in the hole for Emirates. The airport’s low operating costs, round the clock operations, and geographic location, give Emirates a significant competitive advantage. India has always been on the forefront of Emirates’ radar screen. India has always been a “west bound” country, with maximum traffic to North America (USA being India’s biggest trading partner), Europe, and Middle East. Emirates’ first flights were to Karachi in Pakistan and Mumbai, India. Utilising the geographic position of it’s home base Dubai, Emirates has been steadily capturing the traffic from South Asia to North America, allowing passengers to bypass the traditional hubs of London Heathrow, Frankfurt, and Paris Charles De Gaulle; the home bases of British Airways, Lufthansa, and Air France, with a transit stop in beautiful Dubai airport instead. Similarly, Emirates competes with British Airways, Qantas, Singapore Airlines, and other airlines on the lucrative London to Sydney “Kangaroo Run”. The imposition of mandatory transit visas by most European countries, on South Asians does not help the cause of their airlines, since South Asian get automatic transit visas in Dubai. The fabulous duty shopping and bargains galore, add to the passenger draw. In November 2008, Emirates, already holding the position as the number one foreign airline to India, announced that it would add another 31 weekly flights to India by early 2009, taking it’s total to a staggering 163 flights per week from 10 cities in India. This at a time, when other foreign airlines were cutting back their services to India, and India’s airline industry struggling to overcome the economic malaise of theirs and the Government’s of India making. Emirates has already muscled it’s way in, at the traditional strongholds of traditional, major foreign airlines, British Airways, Lufthansa, and Singapore Airlines; Mumbai, Delhi, Chennai, Kolkata, and Bangalore. Now it is beginning to crowd them out with its capacity. Just as an example, Chennai, the traditional stronghold of Singapore Airlines with 11 flights a week. In 2006, Emirates had 4 flights a week. In less than 2 years, today, it has 19 flights a week, which will become triple-daily i.e. 21 flights a week from Winter 2009. In the mean time, Singapore Airlines has cut back its flights to 9 a week, and even that looks unsure. Emirates, has also announced plans of adding another 19 flights by the Winter 2009 schedule. At 182 flights, keeping in mind, the speed with which Indian carriers Jet Airways, Kingfisher Airlines, and Air India, are withdrawing their international services, Emirates stands become the largest airline operating internationally, in India. Some will compare this expansion to capacity dumping, since only Mumbai, New Delhi, and maybe, Bangalore have the ability to absorb the seats and cargo space offered. Below is a brief review of Emirates plans for each of its Indian gateways. It is important to keep in mind, Emirates has an “all wide body” fleet, and operates only Boeing 777s and A330s to India. Emirates will increase its existing 8 weekly flights to a double daily i.e. 14 flights a week in it’s Winter 2009 schedule which commences December 1, 2009. Singapore Airlines is going to stay at its 3 weekly flights for the foreseeable future. Emirates will operate 20 weekly flights. Cargo capacity will increase to 340 tonnes. 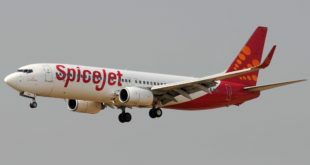 Jet Airways is withdrawing its Brussels flight, Singapore Airlines has reduced frequency from 10 weekly flights to 7, Kingfisher is struggling to fill seats on it’s daily London Heathrow flight, as are Lufthansa, Air France, Malaysia Airlines, Thai Airways, and British Airways. Air India operates one puny Airbus A320 direct to Dubai and one with international transit connectivity at Mumbai, and is barely clinging on. By February 2009 weekly 19 flights. Due to increase to triple-dailies from Winter 2009. Singapore Airlines has cut capacity from 11 weekly flights to 9. Malaysian and Thai Airways are fighting an uphill battle. British Airways has reduced frequency from 6 flights a week to 4, Air France is experiencing pressure and is operating only thrice a week. Lufthansa reduced it’s aircraft size from a Boeing 747-400 to an Airbus A340-600 now down to a Airbus A340-300. Only Sri Lankan airlines, in which Emirates has a stake, is performing acceptably. Currently Emirates operates 12 flights per week, Emirates will add another two flights in February 2009 taking the total to 14 flights a week. Competition ? What is that ? Current Emirates operates a daily flight which will be upgraded to 11 flights a week in Winter 2009. British Airways has announced withdrawal from Kolkata, and Lufthansa has reduced frequency to thrice a week. From the existing 6 flights a week Emirates will increase to 11 weekly flights. Emirates will serve the city with a triple-daily operations by February 2009. KLM is discontinuing operations. Lufthansa has already reduced frequency from a daily flight to 5 flights a week. British Airways just commenced with 5 flights a week, but it remains to be seen how the operations holds up in the future. Effective February 1, Emirates will serve Mumbai with a fifth-daily operation i.e. 35 flights a week, providing the city with a service almost every five hours. Cargo capacity on the route will increase to 641 tonnes per week. Air India and Jet Airways are trimming their European, and US services. Only time will tell, how successful Kingfisher’s service to Heathrow, due to commence on January 5, 2009, will be. India’s capital which was initially served by 18 weekly flights will have a total weekly frequency of 25 flights per week post expansion. Weekly cargo capacity will increase to 389 tonnes. Air India and Jet Airways are trimming their European, and US services. From the current 8 flights a week, Emirates will ramp up to 10 flights a week, and then up to 12 flights a week in Winter 2009. *Tier II cities. In these cities the Emirates’ capacity build-up appears to be pre-emptive in nature, to establish a base and prevent other airlines from entering. Emirates’ Chairman Sheikh Ahmed bin Saeed Al Maktoum, Vice Chairman Maurice Flanagan, and President Tim Clark have built a formidable competitor. With it’s new non-stop flights to San Francisco, Emirates has breached the ultimate barrier, now offering a one-stop connection between the Silicon Valley (SFO) and Silicon Plateau (BLR). Their march will continue this relentless pace. While competition is good, and I am ardent propent, the leadership in India has to become pro-active lest Emirates crowds out all other carriers from India, at which point the country will be at the mercy of this giant. Politicians in India need to start pushing Indian airlines to start operating internationally. They should get out of the rut and let any Indian carrier fly internationally. In parallel they will have to twist the arms of British Airways, Lufthansa, Air France, and other legacy European carriers, to obtain favourable slots for Air India and other Indian carriers at London Heathrow, Frankfurt, and Paris Charles De Gaulle.